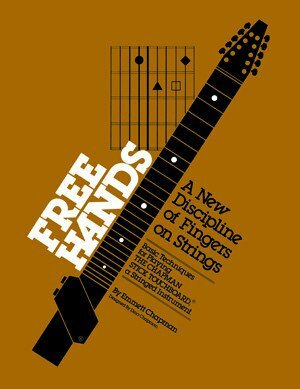 Emmett's original method book is a collection of early lessons he developed to teach his new method. 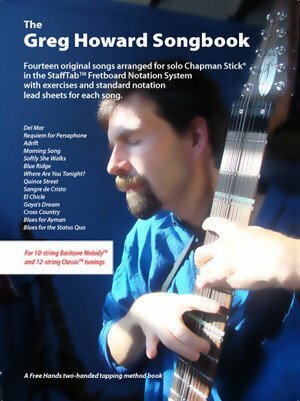 Includes exercises, articles and basic song arrangements. Classic tuning, adaptable for other tunigs. Digitally remastered in 2004. 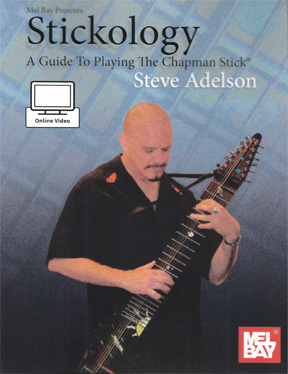 First published for Baritone Melody tuning in 1997, a comprehensive method book, with several song arrangements. Available for Classic, Matched Reciprocal and Baritone Melody tunings. Optional companion double CD. 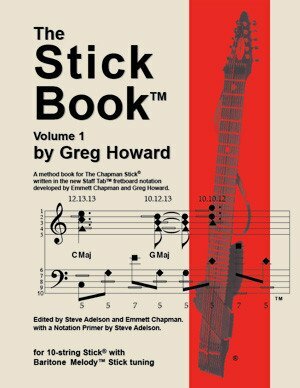 A broad survey of Stick basics, delivered with Steve's trademark humor and expertise. Online video acess included. Classic tunig, adaptable for other tunings. Published by Mel Bay. 72 pages.